It was about half past 9 on a dark, cold week-night back in January 2009. I remember walking out of the small sports hall in the sports science building at the University of Limerick. My body was tired and slowly drudging along. But my mind was racing. I had just finished my first Brazilian Jiu-Jitsu class with Fergal Quinlan (black belt under Rodrigo Medeiros). I knew immediately that there was something special about the sport right then. Just for fun! Drilling technique a few years back. 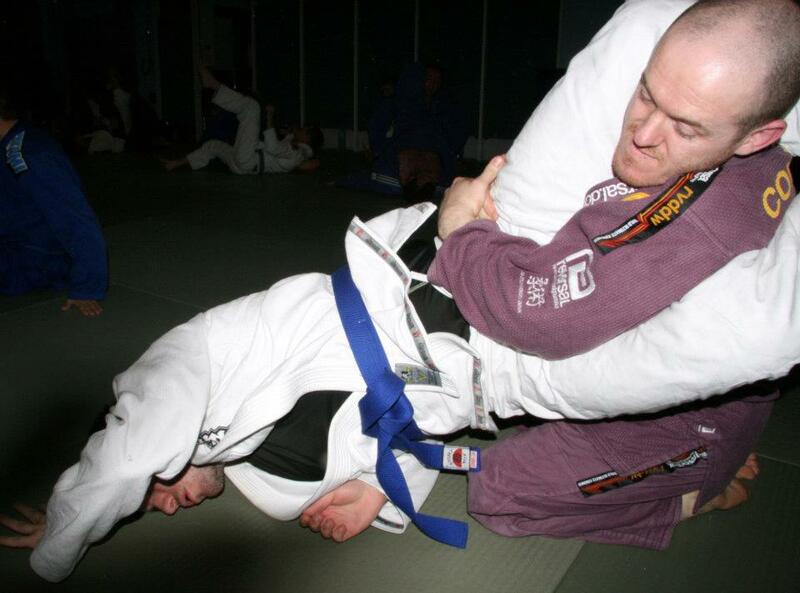 If you’re not familiar with BJJ this may look weird! I then became obsessed. Not just with thinking about BJJ but with the pursuit of improving. The milestone I set was my blue belt. In order to improve to that point it should be pretty obvious that it would take time, consistency and taking constant actions. With each action just leading to a small incremental change. But when you add up the cumulative result of all these little actions done over a prolonged period you see a massive payout. I showed up for class, I asked questions, I read books, watched videos, signed up for tournaments, ate good food, prioritized recovery, etc. I’m sure this all makes perfect sense to you. You’re thinking “sure, to get better at jiu-jitsu it makes sense that you’ve got to turn up to class regularly, pay attention and be invested in practising the movements each day until they become subconscious”. 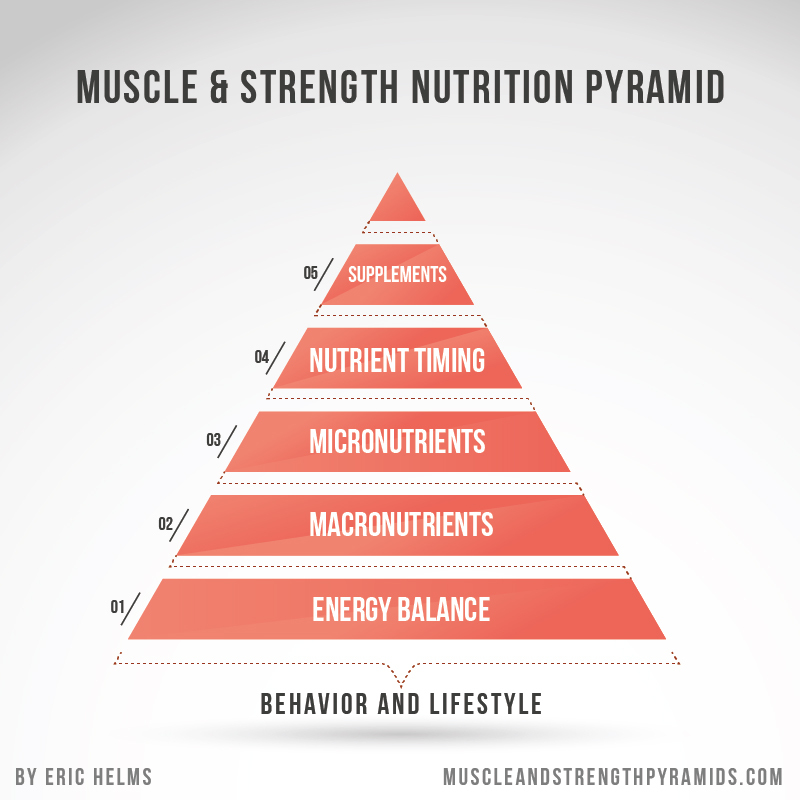 So why do we, as a society, find it so hard to apply the same logic to “getting better at” nutrition? How is it that we can “do things” differently yet see no change? See no result? It’s down to resource allocation. I think THE BIGGEST PROBLEM is that so many people simply invest their resources into the WRONG actions. Their mental energy, time, effort and finances are placed into the wrong actions and so there is no room for the ones that will actually make a difference. What are the Right and Wrong Actions to Take? Let’s go back to my thought that people are placing their resources into the wrong actions as opposed to the right ones. I realize that at this point that my statement is virtually meaningless as it tells you nothing about how to distinguish between the two. How do you know if an action is the right or wrong one to implement at any one time? What’s the potential ROI (return on investment) of doing so? If the answer is “yes” then you have no place prescribing the more resource-intensive action. This is in fact the essence of why science beats bro-science. Sure, bro-science works for those jacked dudes promoting it. But it doesn’t mean those recommendations are going to be the most resource-friendly actions we could advise to someone. We want to target actions/approaches that are not excessively resource-intensive. But of course we still need them to elicit an actual result. There is no point in doing easy-to-implement actions if they don’t give a result. So this is where ROI comes in. The whole point of the quadrant is to give you a tool to decide which actions you should focus on taking first. In other words, what are the things that will give you most bang for your buck if you make them a consistent behaviour. So first think of all the “easy-to-implement” things you could do, i.e. what actions/behaviours don’t cause you a massive amount of hassle, are easy to stick to, don’t cost you an excessive amount relative to your income, etc. To determine the worth of an action we need to look at the intersection of how much resources we have to put into doing it AND the potential return we could get from that investment of resources. 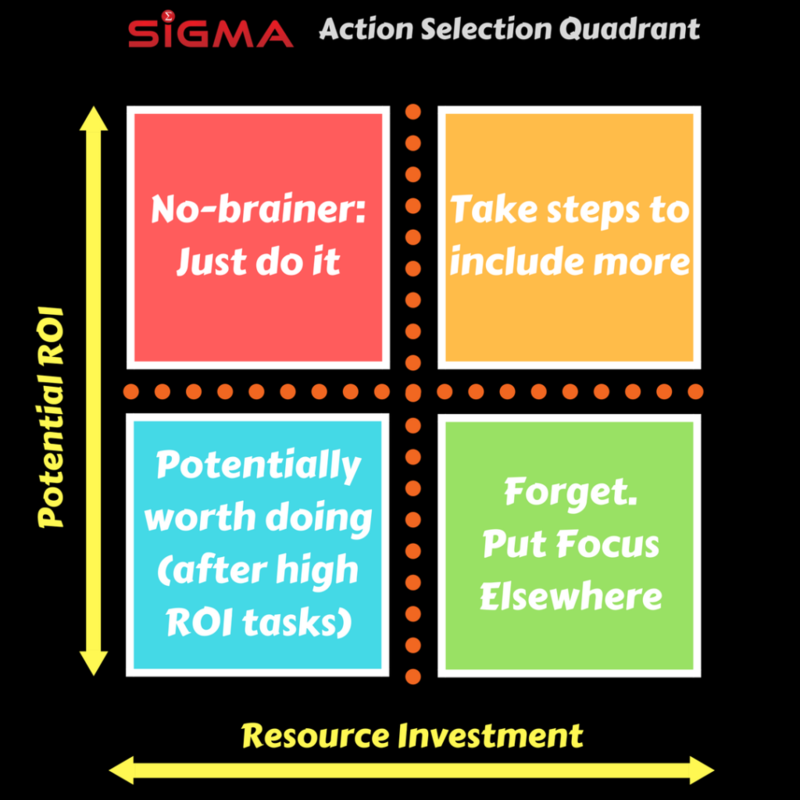 Using this quadrant you can plot a number of different potential actions you can take based on how much of your resources you will need to do it and the potential return you will get on your investment of resources. In other words, what is pay-off/result you’ll get in exchange for the time, effort and money you will have to invest to get there? For example, take the top left quadrant (red), that would include actions that are relatively easy for you to start taking but have the potential to yield a big result at the end of it. Low resource input with a high potential ROI – This is a no-brainer: easy to do and a big result for doing it. Just go do it. No excuse. High resource input but a low ROI – Completely eradicate these actions. They don’t give much in the way of results, plus they take up a ton of resources. High resource input giving a high ROI – These actions require quite a decent amount of resource investment but the pay-off is potentially high. So these are the actions that we need to work on a plan to gradually bring more of them into our life. These actions are too numerous to list individually. There is literally an endless number of actions that someone could take that would in some capacity confer some benefit on health, body composition and/or performance. While I will list some examples below to give you an idea of a possible starting point, I want to highlight that these are not necessarily the actions that YOU need to take. I hope it’s 100% clear that the exact actions you should implement are 100% predicated on where your starting point is, what your goal is, what type of personality you have and a number of other variables. All this post goes to demonstrate is that to improve your health/body composition long-term, there are a number of things you could invest your resources in. But they are not equal and your limited resources should be placed carefully into actions that will actually make a difference. Note: Which category each of these actions is placed is subjective to the individual. The benefit you derive from any action (your ROI) will depend on your starting point. Similarly, it should be clear that your resources are specific to you. Actions that fall into the first column are the ones to avoid, especially if you are just starting to make changes. For the relative benefit you could derive from them, the likely pay-off is pretty small in the grand scheme of things. 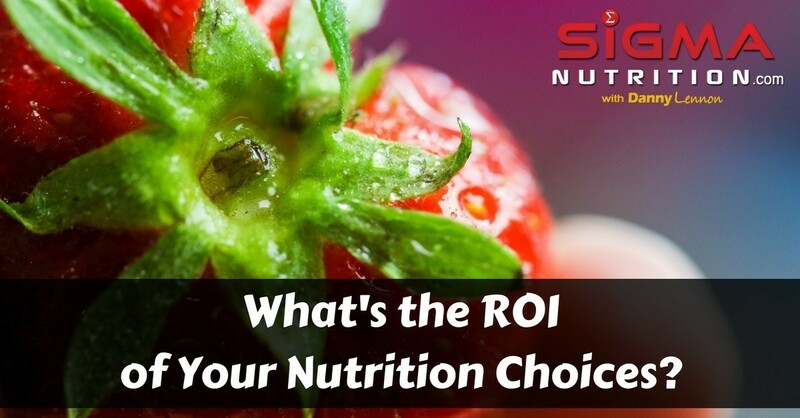 For example, if you’re using all your mental energy concerning yourself with the timing of your carbohydrates or expensive supplements but you aren’t eating an appropriate amount of calories and protein each day, then you are completely wasting your time. Right, let’s get down in how to practically use this stuff. Which actions will actually lead to a high ROI? How much mental energy, time, money, physical effort, etc. will be required to make this action a consistent behaviour? Then combine the two answers to place each possible action on the quadrant. For those with a high ROI and low resource investment, do them straight away. There are no excuses not to. For those with a high ROI but a high resource investment, plan to gradually make these more predominant in your lifestyle, one at a time. Once the high ROI actions have been taken care of, then you can start to think of lower ROI actions. But those that are resource-intensive are likely not worth including.